After we had been in Dharamshala for two plus weeks we reached the apex of our visit: an audience with His Holiness the Dalai Lama. Months earlier our friend, a former minister in the Tibetan Government in Exile, had suggested that we apply for an audience, so we visited the temple to inquire and were given the Dalai Lama’s Secretary’s office contact information. Internet connections were poor, worse even than I remembered, so I tried the wifi at our favourite breakfast restaurant. Oddly my email request for an audience disappeared from the tablet, so Dr. D. sent an email and phoned the Secretary’s office. On our way back to Dharamshala from the Golden Temple Dr. D. received a phone call from the temple office, asking why she had not returned their email. Apparently she had forgotten her email password! Our presence was required the very next morning at the temple, she was told. We arrived at the temple office early the next morning, as instructed. We had no hard copy invitation to present, but after a bit of confusion, the words “We’re from Canada”, alerted the security officer to who we were. We were then sent outside where female and male security guards searched us and instructed us to leave our bags. My body search was thorough, the female guard found a toothpick in my pocket and confiscated it! We then lined up on the driveway towards the reception building and home of His Holiness, standing in the chilly morning air for about an hour. 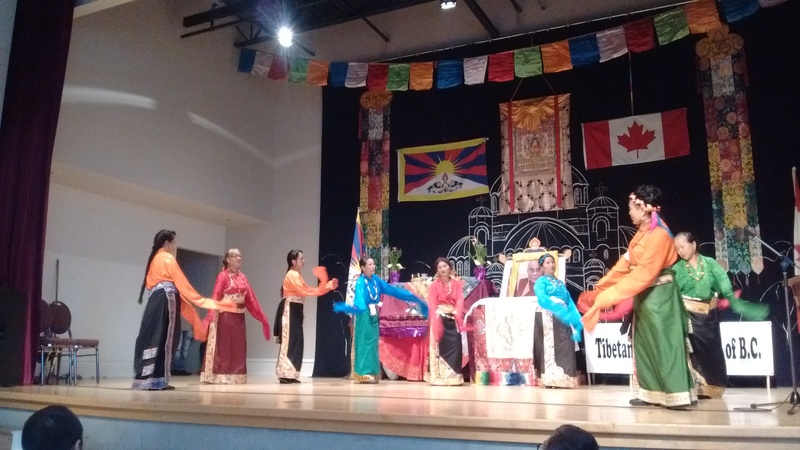 Most of the sixty or seventy attendees were Tibetans, with about a dozen Westerners. Finally the Tibetans were directed to move up towards the building, where they stood, heads bent and khata prayer scarves in hand. All the Westerners stood a few yards back. After a short time along came the Dalai Lama, accompanied by several monks. His Holiness took his place in front of the entrance to the building. The audience was tightly orchestrated, with several older monks flanking Him and a long line of Tibetan security guards forming a tunnel visitors walked through. An Indian Army guard with an automatic rifle stood on each side of the doorway, a much smaller army presence than during the Dalai Lama’s teachings, when thousands of folks are present. Each group or individual was directed through the tunnel of Tibetan security guards, while the rest of us stood back and waited our turn. Four Western women went before us, one of them a nun. When a question was asked by one of them, the Dalai Lama offered them a ten minute mini history lesson. His recall of historical dates was impressive. Then it was our turn to meet Him. He grasped my hand, then Don’s. I told him that twenty Tibetans live in our community near Vancouver, (part of Canada’s Tibetan Resettlement Sponsorship Program). He expressed interest, and I had the sense he was about to ask me something, but the staff intervened and told us to line up for pictures. The monk photographer quickly took eight pictures of the three of us. I then asked His Holiness if he would bless our friend who was very ill at home in Canada. An expression of deep compassion crossed his face, and he gave a brief blessing in Tibetan. We thanked him, bowed, then left, with precious pills and blessed red silk thread in hand. What remains with me, and, I believe always will, was the gentle peace surrounding His Holiness, indeed around the whole area where we stood. His Holiness gave us a lot that day. We received a powerful healing energy from his presence and his touch. Afterwards, walking down the driveway of the temple towards the street, I was attacked by a street dog, a first. The dog jumped on me twice, and in my haste to get away from him I fell off the roadway to the ground below, a drop of a foot or more; I remained on my feet and fortunately was not harmed. The dog and his friend continued to follow us after this. Naturally, I was shook up and afraid they would jump again and bite me this time. No one, including the police, believed the dog was harmful, however, there is still a threat of rabid dogs in McLeod Ganj. The vaccination program is improving each year, though. Eventually Don took charge of the situation and, taking me by the arm, suggested we leave the main road and go up the Kirti Monastery laneway. After mulling over what happened for a while we concluded that the dog did not mean harm, he was being playful, and was responding to my altered state after meeting His Holiness. The meeting with the Dalai Lama had a great impact on both of us. 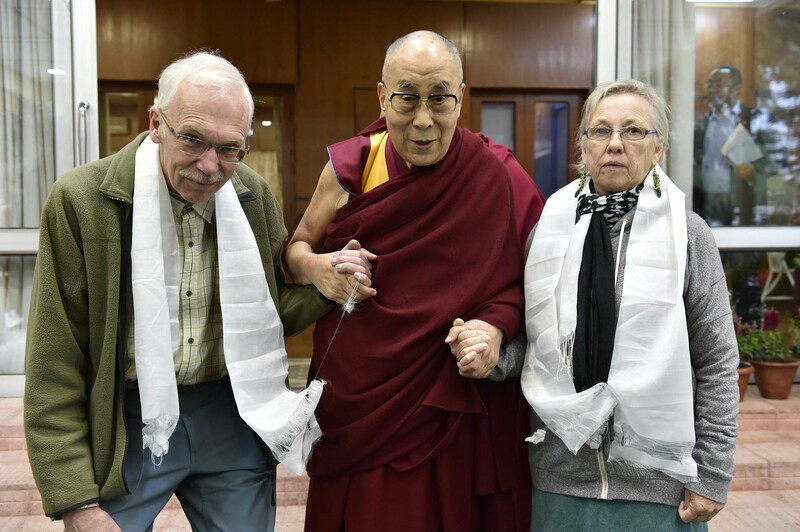 Our previous exposure to Tibetan Buddhism, both in India and in Canada, and to Tibetans through our enduring friendships in Dharamshala and our Tibetan family sponsorship in our home community, deepened our experience. And I would venture to say that past lifetimes as Tibetan Buddhists also contributed to making the encounter more profound. In later days we met a beautiful man, a Tibetan Buddhist who manages a catering facility for the government in exile’s cultural department. He told us that he blacks out every time he meets His Holiness and does not remember the experience. Looking up the term “medical blackout” I found: a transient dulling or loss of vision, consciousness, or memory. While we did not have that experience, the audience had a strong effect on us and we believe we received a powerful healing from the Dalai Lama’s touch and from being in his presence, one that we are still integrating into our energy system. At our initial chiropractic session within a week of our return from India, our spines were quite integrated, and our doctor sensed that it was from the experience of meeting His Holiness. Clearly, meeting His Holiness the Dalai Lama was our destiny, part of our spiritual path. It’s not complicated, the Grandmothers tell us. This is the most recent newsletter from Sharon McErlane, who channels the Council of Grandmothers. I first wrote about the amazing Net of Light last September; see Light or Darkness, Your Choice. “It is your heart that will lift you,” they said. “If you move into your heart and keep your focus there for only a few seconds, it will lift you.” Fixing their eyes on me they said, “You are looking at this situation the wrong way. You think there is some work for you to do. You think you should lift your heart, should make yourself think differently, should be different in some way, etc. etc.” They shook their heads back and forth, back and forth as they regarded me patiently. “It’s not like that,” they said. “Because your actual nature is love and peace, you don’t have to ‘make yourself’ do anything in order to feel good. If you simply drop into your heart and wait there, you will automatically open to peace and love. It’s the way you’re made. It’s your natural way of being. “You needn’t struggle and you needn’t be afraid,” they said. “It’s the mind that manufactures all of that; there’s no fear and struggle in the heart because the heart knows better. The heart knows HOME; it is tuned to home. So get to know your heart. It’s time. Haven’t you wasted enough years following after those images in your mind? Aren’t you tired of all that racing, chasing and disappointment? “So,” they shrugged, “give yourself a break. Return to peace. “Move into your heart and start to live from there. Try it! Think of taking up residence and then throughout the day consciously return to your heart. Like a magnet, let it pull you into peace and safety. Then rest at this quiet center point. You can always venture out again with the mind if and when you want to, but up until now you have allowed that ever-searching, ever dissatisfied mind to control your life. So much so that you’ve lost your affinity for peace, which is your natural state. We are urging you to return to it now. Return to balance. “Go into your heart and rest there. Start by thinking of the center of your chest and of us calling you home. Then let yourself drop in. It’s like a cave or a nest inside yourself and there we will enfold you and hold you steady while you replenish. You deserve a break, so take it. Take it now. 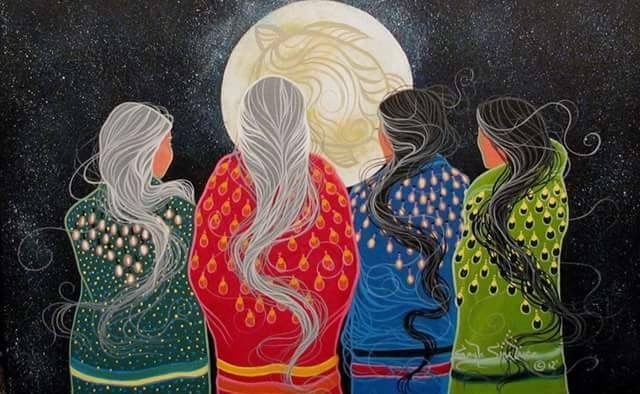 To Learn more about the Great Council of the Grandmothers and how to work with the Net of Light, go to www.netoflight.org . Our morning flight from Delhi to Kangra Airport, fourteen kilometres southwest of Dharamshala, was uneventful, but on arrival in McLeod Ganj I discovered that I’d left one bag on the airport luggage belt, necessitating a speedy, (read racing), return taxi trip down the hill by my steadfast partner. As we travelled north from Delhi we began to fly over the lower foothills of the Himalayas, landing in the green and luxuriant Kangra Valley, sheltered by the Dhauladhar range, after one and a half hours. The Kangra Airport, at almost 2500 feet in elevation, is about half the elevation of Upper Dharamshala. The first time we flew into Kangra in 2015, I was quite nervous. It was February, a season of unreliable weather, with plenty of rain and fog. Several years earlier I had read Mick Brown’s Book, The Dance of 17 Lives, about the seventeen incarnations of the Karmapa, the third highest Tibetan Buddhist incarnation. In the book the author described his flight to Kangra during the month of February in bad weather. His seatmate, a monk who happened to be one of the Dalai Lama’s brothers, was petrified, constantly repeating a scary mantra: “Maybe today we will die”, unnerving all around him. 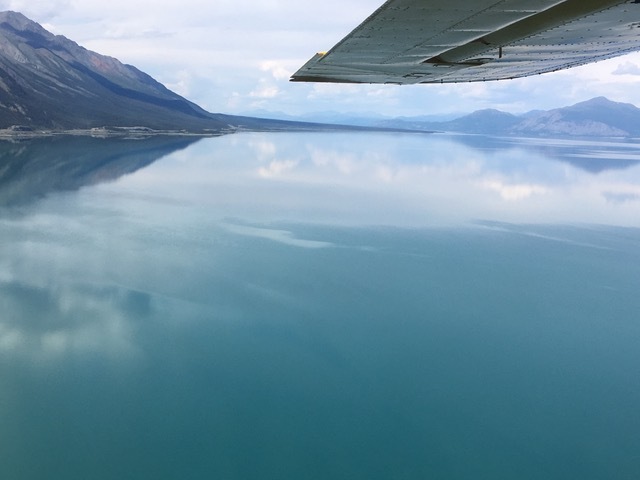 We were fortunate, our weather conditions were fine for both our 2015 and 2017 trips, and we never flew over high mountains, as Brown’s book seemed to imply. Settling in at Pema Thang Guesthouse came easy, as we had stayed there previously, and the staff really make you feel like you’re home. We had the good fortune of moving into the best room in the guesthouse after our initial two nights, with a discount, as a large party of Danish students had booked all the less expensive rooms. Our view was superb, and we could observe the activity at the Dalai Lama’s temple any time, day or night. It was an excellent November and barely a drop of rain fell during the entire month we were in McLeod Ganj. Temperatures did not drop significantly at night until mid month. We wasted no time; knowing we might not return to Dharamshala, we began connecting with our dear friends the day we arrived in town. Dr. D., my “Tibetan sister” came to our room with her young daughter that afternoon, with the usual arrival gift of fruit and khata welcome scarves. The next morning we visited K. and T., an older Tibetan couple who live near the temple. This trip was memorable due to our deep connections with individuals. We built on already established relationships with very exceptional people, some of whom we have known for ten years over our many visits to the town. Their deep spirituality, their love and generosity, allowed us to connect heart to heart at a new level. Over the years we have come to know and appreciate each other in many new ways. Dr. D. administered to our medical needs with her powerful Tibetan medicines, invited us to her home and took a road trip with us. There was a particular reason for visiting Dharamshala this fall. The family is leaving the country, moving to the west, and our time together was especially poignant. Our dear friends K. and T. a deeply devout couple, have taught me much about love. They and all their children are full of light, what I perceive as pure love. Being in their presence opens my heart. Formerly comfortably off nomads in Tibet, their life both in Tibet and in India has been spent in devotion to Tibetan Buddhism and to His Holiness, the Dalai Lama. Twice each day they visit Namgyal Monastery, close to their apartment, circumambulating the temple grounds, (ie, moving around a sacred object or idol on foot), during the morning visit, a 45 minute journey, uphill for the last part. At the temple they do multiple prostrations. We do not shared a language with our friends, but it does not seem to matter. Their son, a monk who disrobed in order to support his family, joined us from Kathmandu on WeChat video during our first visit and interpreted. Dr. D. accompanied us on one visit, but we went alone on our final visit, enjoying ourselves as always, miming what we needed to say to each other, and eating the delicious Tibetan food, K insisted on feeding us. Our hearts and souls know each other; it is not necessary to speak. Once I asked T., through his son, what he thought our relationship was in the past. His clever reply was “The Buddha knows”. During the final weeks before we departed Canada to journey to India, many times I felt an urgency to leave, and heard a voice in my head saying, “I have to get to India, I have to get to India”. Having reached Dharamshala and begun reuniting with the town and our friends, I felt content to be home once again. Each of our trips to India has been different, in its own way. Our fifth journey, in the fall of 2017, was remarkable, although we visited many of the same places. The journeys built on each other, bringing us to this point. 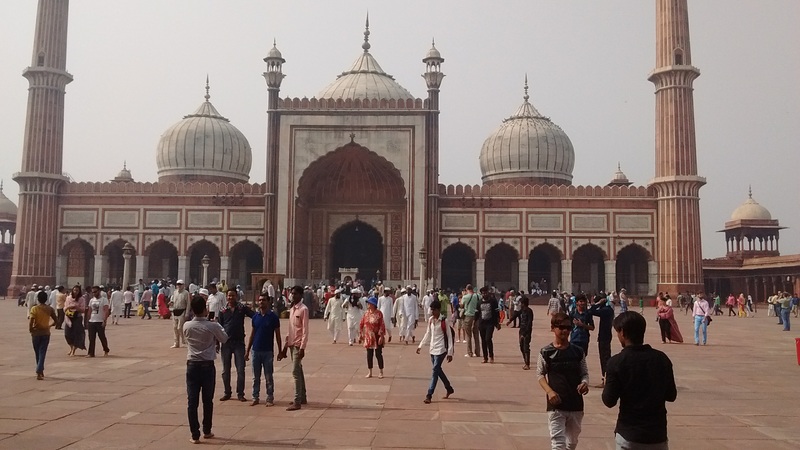 This recent one, likely our final visit to India, with its strong themes of spirituality and love, lifted us to a new level, one where we began to connect with humanity in deeper ways. We arrived at Indira Gandhi Airport in New Delhi just after midnight on the 28th after leaving Vancouver at dinnertime on Thursday October 26th. Exiting the airport was a slow, exhausting process, taking about two hours. The new e-visas for foreigners visiting India for less than 60 days proved to be very popular and immigration lineups were exceedingly long. The fingerprint machines were malfunctioning and the bored and weary security officers repeated the instructions to each passenger four or five times before successful readings were taken, spraying our hands with hand cleaner between attempts. 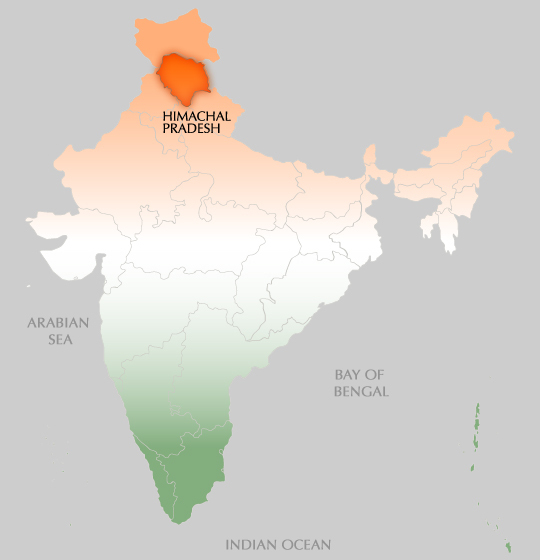 Our goal was to reach Dharamshala, our main focus, about 500 kilometres to the north, as soon as possible. We passed a fitful half night’s sleep and a lazy day in the neighbourhood around Bajaj Guesthouse, in the quiet, middle class Karol Bhag community, followed by another full night of predictably disturbed sleep, (jetlag from passing through twelve time zones is often brutal). We began staying in the Karol Bhag area when our wonderful hotelier, Brij, sold the Prince Polonia Hotel in Paharganj, a fascinating working class market district closer to Old Delhi. Sunday we rallied and enjoyed a half day outing. Around noon our hotel driver drove through the heavy traffic of Old Delhi to Jama Masjid Mosque. Built in the 17th century, it holds up to 25,000 people on special holidays. We had attempted to enter the mosque during our 2009 trip but were turned away as it was Friday, the day of worship for Muslims. On the plaza of the beautiful mosque we were surrounded by Indian families and groups of young men who asked to have their picture taken with us. This is common in India, I suspect they tell folks that we are their Canadian friends. A quick getaway is necessary after a while or you would find yourself still there an hour later! After the mosque we walked the narrow lanes of the market for a while, searching for an interesting place we had visited eight years previously, but we’d not done our homework, and all the lanes looked pretty much the same. Our driver came and found us there, concerned that he’d lost his charges. The days are warm, the nights cool. I sit on my back deck surrounded by my friends, the giant conifers, soaking in the afternoon sun, squeezing the last drops of heat from the thinning sun before it sinks behind the trees. The monsoon season is almost over in Dharamsala India. The weather is cooler this fall than usual I’m told. 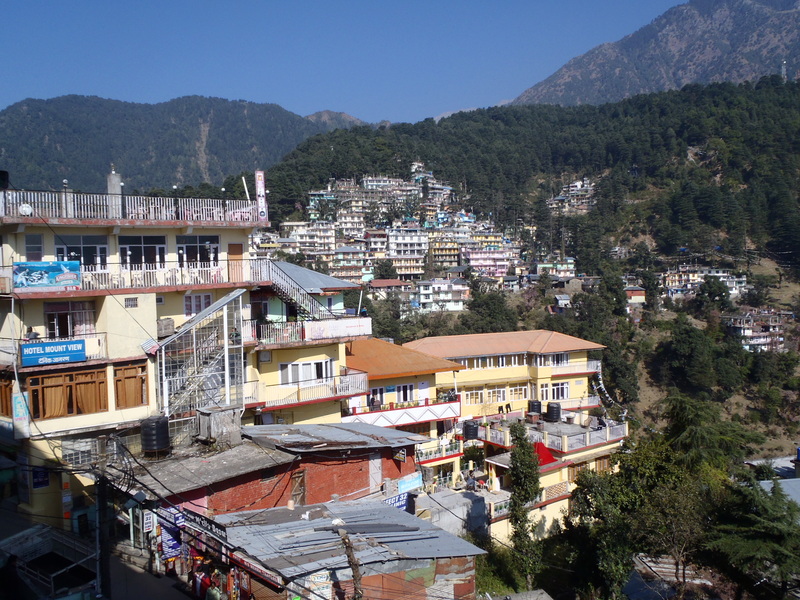 It’s been close to a decade since I discovered McLeod Ganj, Upper Dharamsala, home of the Dalai Lama and tens of thousands of Tibetans in exile, but every year at this time, I long to return to the place where a part of my spirit permanently resides. Perhaps next fall, or the next one, we will go back to Dharamsala, before more of our Tibetan friends leave. They truly are spread around the world: France, the US, Australia, one waiting with hope in Toronto for permission to immigrate with his family. This year my partner is winding down his survey business, preparing to retire at the end of the year. I am returning to my creative and spiritual pursuits, restoring myself after intense immersion in another sponsorship program, this time with Syrian refugees. As our planet, and we along with it, moves deeper into the vibration of the fifth dimension, I renew my goal to be in connection with spirit continually, participating in activities that feed me and spending time with folks I have deep connections with. My year’s experience attending the powerful Divine Love prayer circle and the friendships developed there have helped me tremendously with my spiritual pursuits. So has my relationships with the devote Christians on the Working Committee for the Syrian sponsorship, a local church sponsorship, and my time with our two Christian Syrian families. Maintaining contact with spirit is simple, if we allow it to be so. I am slowly learning this truth. Angels are around us all the time, and the more we acknowledge this and ask them for assistance, the stronger our connection becomes to spirit.